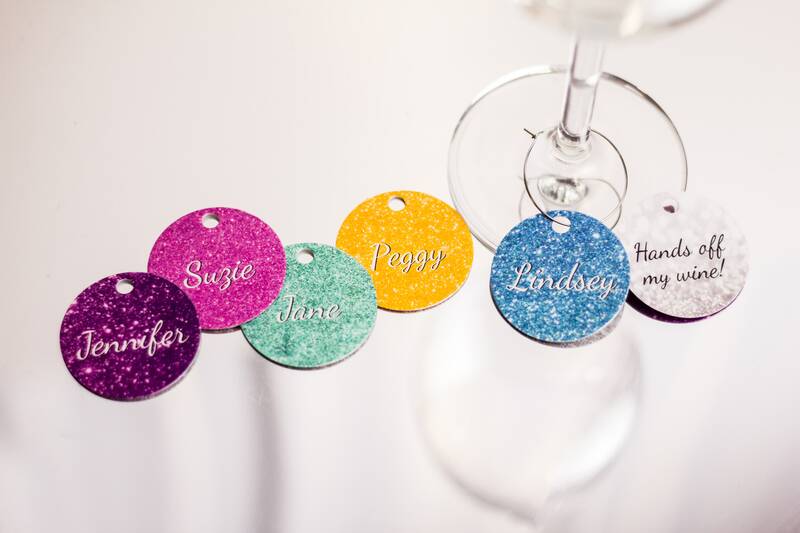 Custom Wine Charms | Plastic Printers, Inc.
Waterproof and affordable, custom wine charms are a fun accent for weddings, graduations, parties and even corporate events! Let's discuss how we can turn your ideas into a reality. 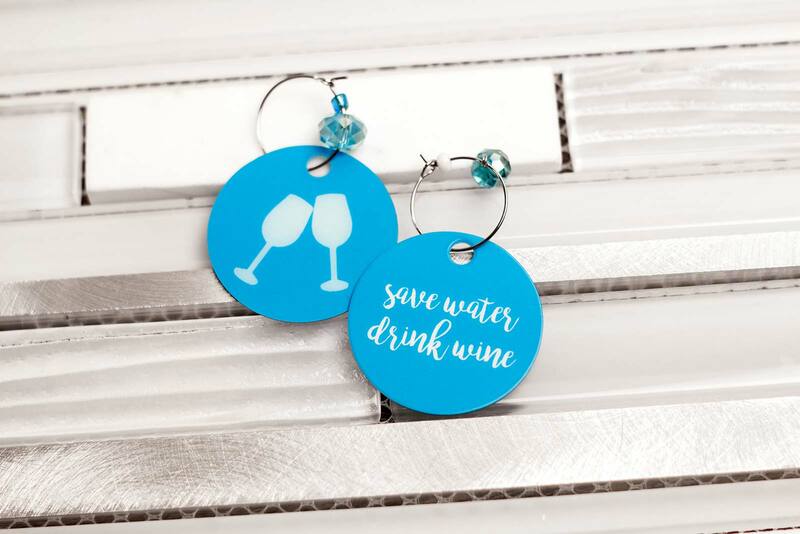 Whether you're throwing a corporate event, a wedding or a party, custom wine charms add a fun touch to your guests' drinks. 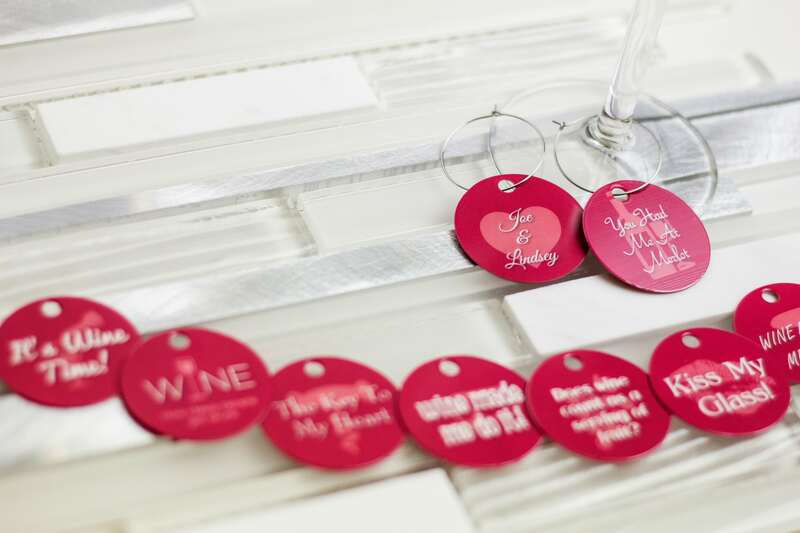 Wine Charms make a fabulous party favor for all occassions! Birthday parties, Milestones, Anniversaries, Bachelorette parties & Weddings. The best part is we can customize them with names, personal photos, quotes or sayings. 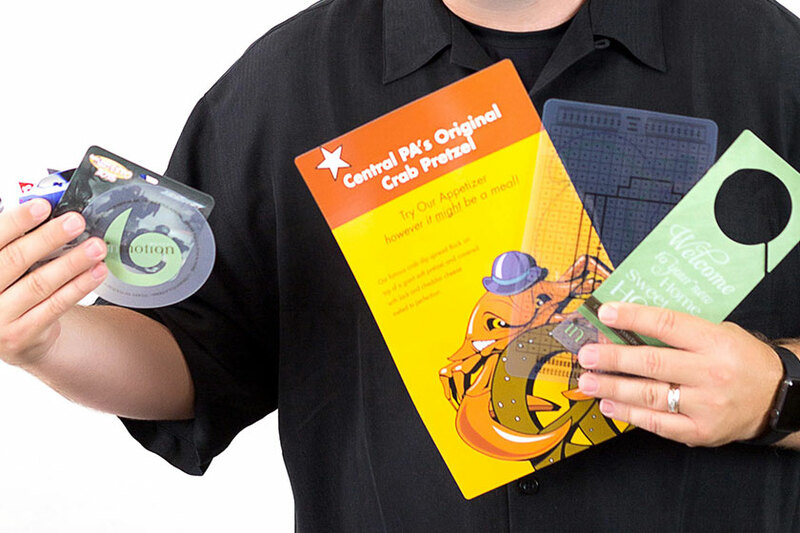 Do you need fun attention grabbing favors to hand out at tradeshows? Let us take at look at your logo and event you are looking to promote yourself at, we will come up with something that gets people talking. We can even incorporate your logo or photos. 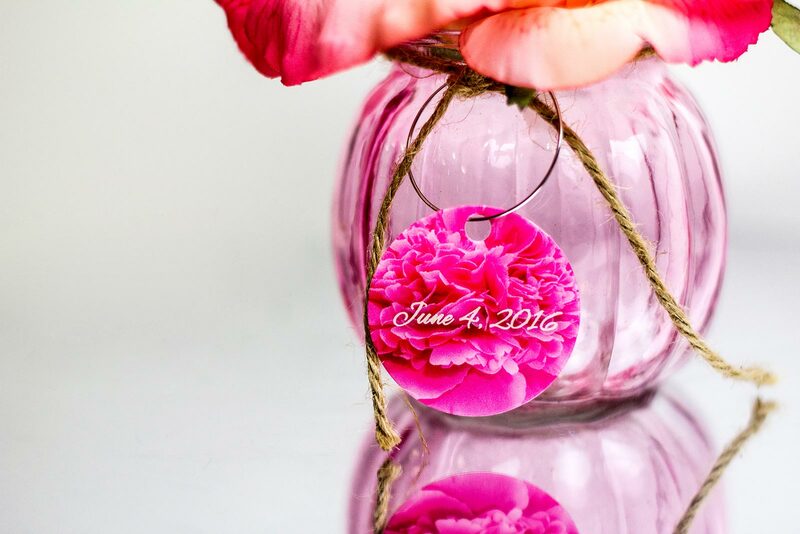 Favors and keepsakes your guests can take home with them to remember your special day. 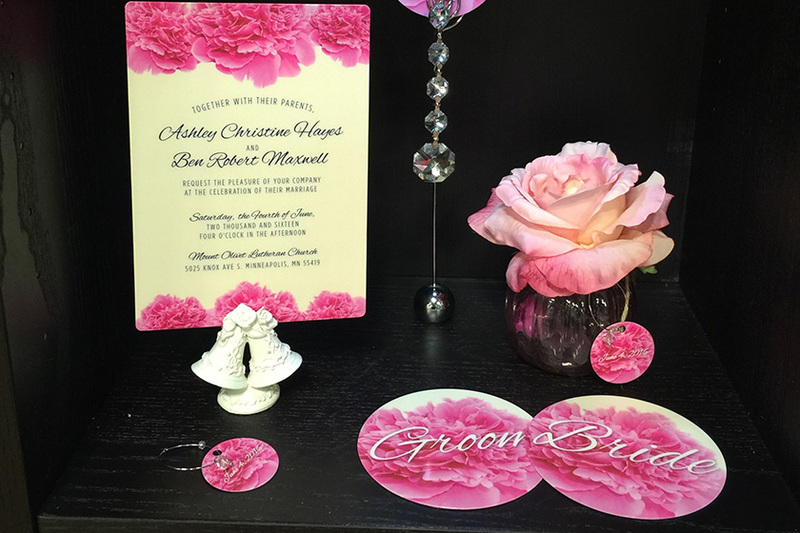 Wedding favors like wine charms and custom coasters that match your wedding menus, programs, table numbers, invitations and wedding theme. 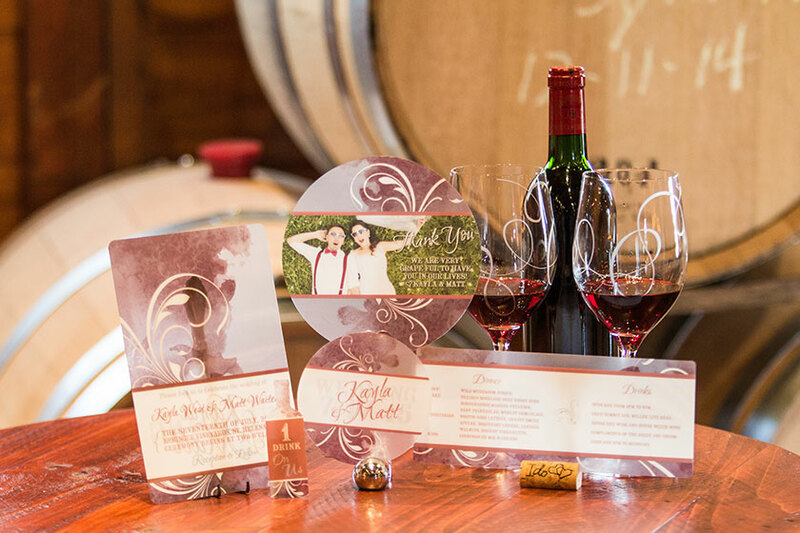 Finding unique ways to market your vineyard, winery or tasting room is challenging and fun. We are here to help discover new innovative ways to promote and market your business in ways that AWE your customers and bring them in over and over again. 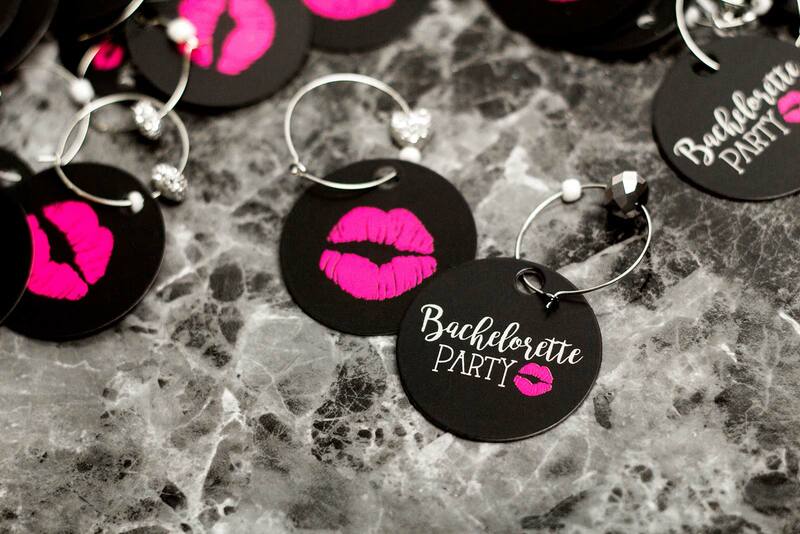 From weddings to corporate events, bachelorette parties and even winery marketing, see examples of how our clients are using custom wine charms. 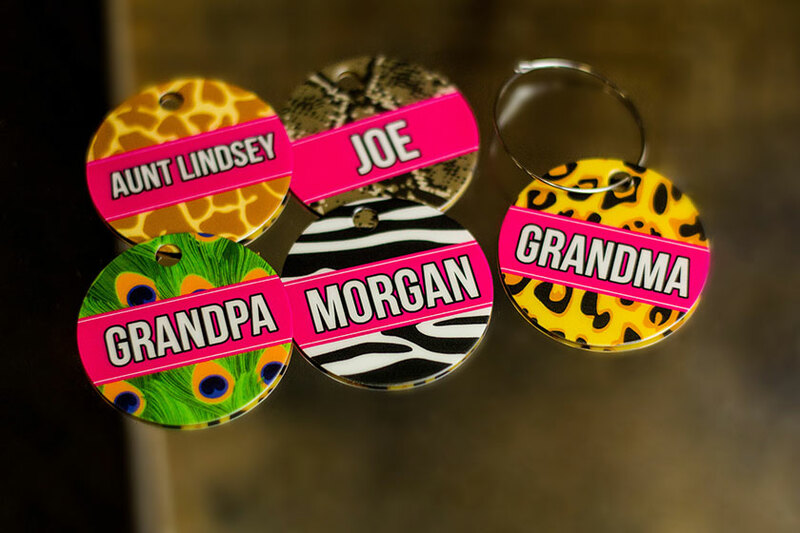 Let’s get started on your custom wine charms.